Wikileaks’ Vault 7 publication of a massive cache of CIA documents now reveals one of the most crucial bits of information yet — the government cannot possibly prove its crackpot Russian hackers theory about the U.S. election, because the CIA has all the tools to make it appear as if The Russians Did It, whether or not they did. Further, the CIA, itself — not The Russians, as officials have alleged — might be responsible for putative electronic ‘fingerprints’ left upon purported hacks into various official U.S. systems, since the agency keeps a voluminous ‘library’ of malware deployed by foreign nations. This means the CIA in essence maintains a veritable wardrobe from which it can choose to don the cloak of another country whenever a mission would deem that necessary — even if the target of the deception were other agencies within the United States government. “The CIA’s hand crafted hacking techniques pose a problem for the agency. Each technique it has created forms a ‘fingerprint’ that can be used by forensic investigators to attribute multiple different attacks to the same entity. Of course, this would be a false attribution planted by the agency to throw off anyone hunting evidence hackers have compromised a system. Meaning, in short, officials with the NSA and other Intelligence agencies likely did detect the electronic markings of the Russian government — but they could easily have been instead left by the CIA. 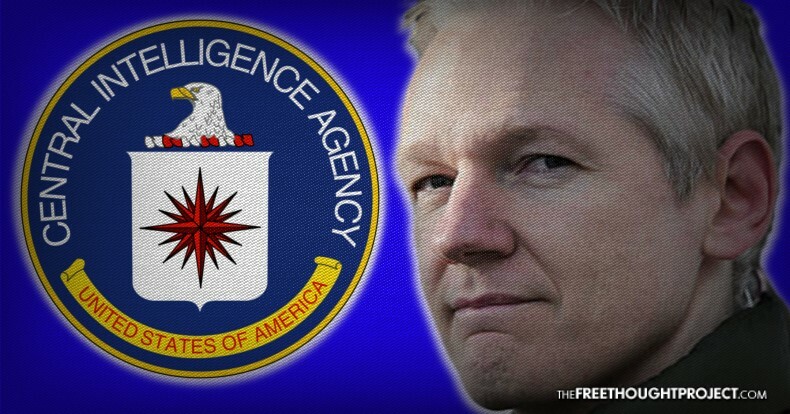 And if any doubt exists the CIA would be that duplicitous in its methods, another revelation from Vault 7, in a document Codex, is how to thwart any investigative efforts. “With UMBRAGE and related projects the CIA cannot only increase its total number of attack types but also misdirect attribution by leaving behind the ‘fingerprints’ of the groups that the attack techniques were stolen from,” Wikileaks continues. Further still, the Democratic National Committee and former presidential candidate and secretary of state, Hillary Clinton, sought to smear Republican politicians by inflating purported pro-Russia sentiment to tarnish candidate Donald Trump. While these documents don’t provide unassailable evidence the CIA actually planted Russian Federation electronic fingerprints in government systems, they do prove the agency not only has the capability, but the foresight to insert an impenetrable shield against probing investigative agents. A last point to consider in the Russian Hackers conspiracy so beloved by politicians and mainstream presstitutes, alike — months have passed without proof any agent or associate of the Russian Federation penetrated any U.S. computer system in a manner departing typical State hacks. Indeed, the only significant evidence provided by officials clamoring loudest about Russian hacking has been the exact fingerprints Vault 7 proves the CIA can surreptitiously insert. It now seems apparent that if we’ve been duped, as a nation, the actor has been under our noses — not thousands of miles away — all along.